Hansen Fund Dollars at Work! The expanding presence of the Asian citrus psyllid (ACP) threatens the California citrus industry. However, this tiny, flying insect that can transmit the harmful and incurable Huanglongbing (HBL) disease may have met its match-a wasp from Pakistan. The UC Hansen Fund provided $53,000 to support the biological control of ACP research efforts of entomologist Dr. Mark Hoddle, UC Cooperative Extension Specialist and his team from UC Riverside. "The work Hansen funded will play a key role in the ACP suppression program throughout California, and it will become integral to the IPM program for commercial operations that Ventura County pioneered", said John Krist, CEO of the Farm Bureau of Ventura County. The wasp, known as Tamarixia radiata, is proving to be a natural predator of ACP. 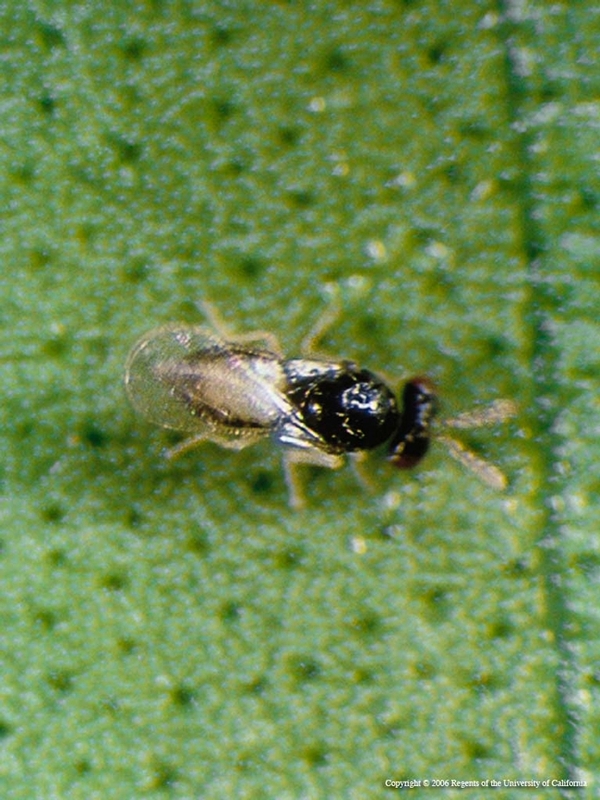 A meeting of the California Citrus Pest and Disease Prevention Committee in Ventura on May 14th provided an update on the fight against the psyllid. The California Department of Food and Agriculture is currently taking data and insects generated by Hoddle's research to develop a mass-rearing program of Tamarixia. "We have referred one grower in the Bardsdale area, where an ACP population unfortunately appears to have become well established", said Krist. The state is also preparing to invite organic commercial producers to request releases. The Los Angeles Times reports release of the wasp in residential areas of Southern California, including Ventura County.